Spurred by their respective national leaders, officials from China's Comac and Avic and Russia's UAC reached and signed an agreement to pursue a common program to design a family of jetliners. The partners will split development costs and expect the first baseline model to be certified around 2024. China and Russia are pressing ahead with plans to jointly develop a next-generation widebody jetliner. The project is led by Russia’s United Aircraft Corp. (UAC), along with Chinese airframers Comac and Avic. The plans calls for development of a family of three models. The baseline version of the proposed twinjet would be able to transport 250 to 280 passengers up to 6,476 nm. This would be followed by smaller and stretched versions of the same airframe. Under the terms of a recently concluded agreement, first flight would be achieved around the middle of 2021, followed by certification in 2024 and initial deliveries. The basis for the agreement forged between UAC, Comac and Avic was an accord reached between Russian President Vladimir Putin and his Chinese counterpart, Xi Jinping, at their summit meeting in Shanghai last year. UAC’s engineering team is responsible for design of the new aircraft’s wing, empennage and aerodynamic surfaces, which will be made of composite materials. The wingspan is expected to be some 360 feet, with the first example due to be ready sometime around 2019-2020. Overall, the airframe is expected to be composed around 50 percent of composite materials and 15 percent titanium. An as-yet-unspecified turbofan for the airliner is expected to have thrust in the 77,000- to 88,000-pound range. The engine supplier is yet to be selected, but Russia’s Aviadvigatel is viewed as a likely candidate that could offer a more powerful version of the PD-14 turbofan now being developed for UAC’s Irkut narrowbody MC-21. According to Aviadvigatel general designer Alexander Inozemtsev, the PD-14’s core would be scaled up by 50 percent. The design house says it can complete the documentation package in three years, beginning after PD-14 certification in 2017. That said, as has been the case with recent new Russian airliners, early prototypes and production examples of the proposed Russian-Chinese widebody may rely on a Western powerplant. But UAC and its partners apparently view this as a stopgap solution until they can develop their own next-generation high-bypass-ratio engines. “Our colleagues from Comac and Avic have expressed support of that vision,” insisted Slyusar. In a computer-generated image AIN received from UAC, the new aircraft looks similar to the Boeing 787 Dreamliner. But this may not be the final version of the design, with Russian engineers reportedly exploring other aerodynamic options. For instance, Russian scientific institutions have been studying a configuration based on a highly blended wing-fuselage, with an oval cross section designed for higher lift. This work is being developed by former Tupolev designers under a project called Frigate Ecojet. Before receiving the command from the top political leaders, Comac and UAC had been working on their own visions of a next-gen widebody. Chinese designers had been working on a project called C929 that would follow on after the C919 narrowbody, using experience achieved on this and the earlier initiated ARJ-21 regional jet. For reference, they considered the Boeing 787. UAC’s current view of the design is based on extensive research initiated by its Tupolev subsidiary under a project called ShFS (the Russian acronym for widebody airplane). This involves the mating of an Airbus A300-style fuselage to the wing of a Tu-214. It has been conceived to carry up to 300 passengers on flights of up to 2,700 nm. During initial negotiations with its prospective Chinese partners, UAC offered Ilyushin’s Il-86 and Il-96 as the starting point for the new design. A small number of the four-engine Il-86s flew with Chinese airlines in the late 1980s-early 1990s and earned a reputation for being able to operate out of airports with limited infrastructure, in places such as Urumqi. But, along with other Russian aircraft of the same era, they were also noted for being inefficient in terms of fuel consumption, and this prompted Ilyushin to develop the twin-engine Il-96, powered by a pair of Kuztetsov NK-93 propfans with extremely high bypass ratio of 16:6. Negotiations with the Chinese companies appeared to be going nowhere until Vladimir Putin and Xi Jinping took a personal interest. 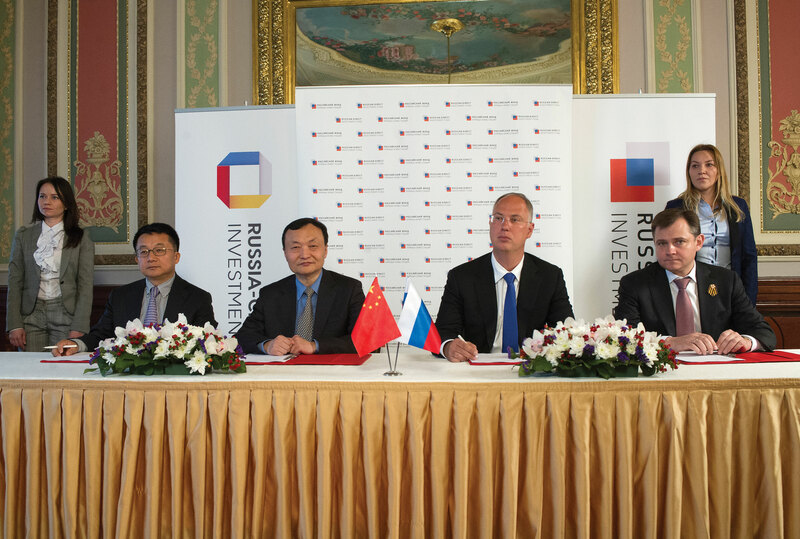 For the Russian industry, the alliance with China provides an alternative to partnerships with Western companies that may increasingly be compromised by economic sanctions and concerns over the stability of Russia’s economy. 360 ft (110 m) is a huge wingspan! I believe this could be a mistake. More likely half of that?